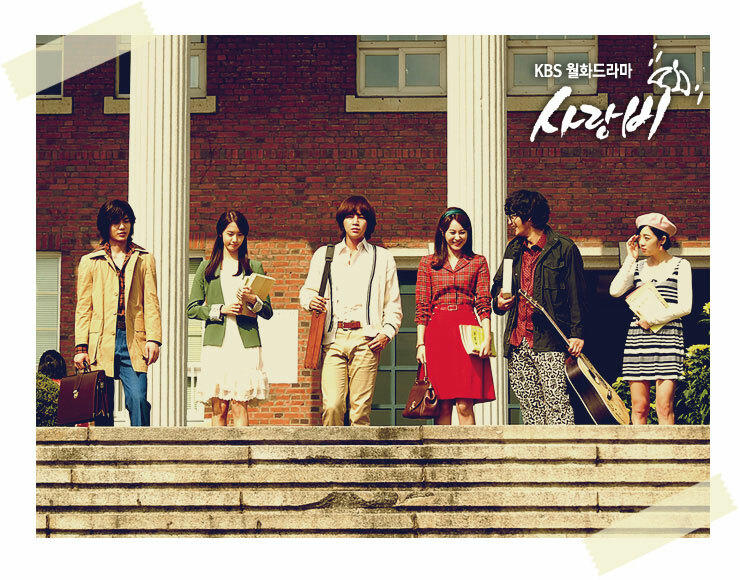 The pure love and “C’est la vie” group of six told by KBS 2TV new Monday and Tuesday drama Love Rain become the focus of attention. Before the broadcast of Love Rain, the video preview which is formed with beautiful scenes features love story of the Jang Geun Suk (who plays Seo In Ha in 1970s) and SNSD member Yoona (who plays Kim Yoon Hee in the 1970s) that ripples the hearts, and the fresh image of “C’est la vie” group of six, receiving popular response. 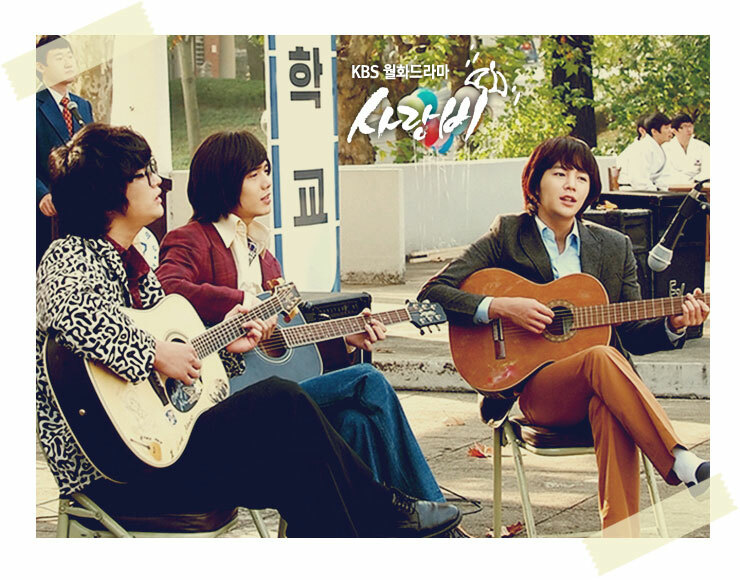 The “C’est la vie” group of six in Love Rain refers to the name of the group which is formed after the meeting of the trio of most famous music teahouse in the 1970s, the handsome Fine Arts student Seo In Ha, popular DJ Lee Dong Wook (Kim Si Hoo), innocent young guy Kim Chang Mo (Seo In Guk), and goddess of homemaking department Kim Yoon Hee, campus queen Baek Hye Jung (Son Eun Seo) and lovely teenage girl Hwang In Sook (Hwang Bo Ra). Their fresh look, perfectly reproduce the romance of campus love during the 1970s, the youthful dream, love and worry and etc. Netizens who saw the C’est la vie gang of six commented, “Were the undergraduates at that time really like this, really makes people has goodwill,” “The innocent and fresh undergraduates in the 1970s, making people absent-minded instantly,” “The beautiful scenes and the innocent look of 6 persons are just like movie, really looking forward to it” and so on. The producer of Love Rain said, "C'est la vie gang of six is undergraduates who has passionate youth and inherent innocent in the 70s. Conveying the youthful message and friendship of 70s era through them, so that people can at times smiles knowingly, at times cries." 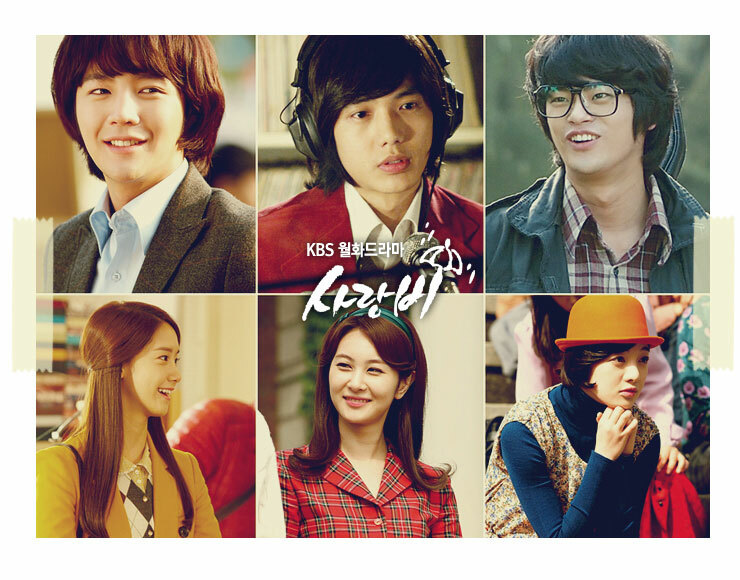 The new Love Rain that depicts the pure love of 1970s and modern love of 2012 succeeds Dream High 2 and debuts on March 26th, 2012.